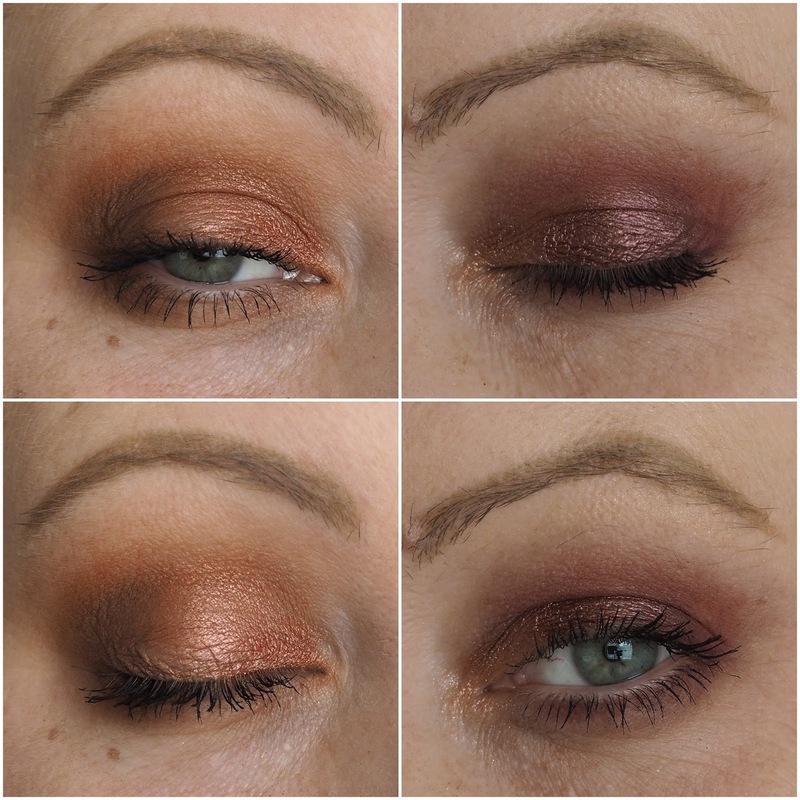 Charlotte Tilbury Stars In Your Eyes palette review, photos, swatches! Darling! I can't read any product description on the Charlotte Tilbury website without reading it in her voice! On Friday, I had one of those pinch me moments where I got the chance to meet Charlotte again and lads, she's exactly the same in person as she is online. Gas, flamboyant and just a gorgeous bridie altogether! She was over with her team showing us the new launches and after I posted one of the press shots of the Stars In Your Eyes Palette on my Instastories last week and asked should I get it, it was a resounding yes from everyone! As funds are low at the moment, I wasn't sure if I'd be able to wangle it, but the universe was listening and Team Tilbury gave it to us on Friday and I've been playing with it since. The Stars In Your Eyes Palette has four magical, mood-enhancing eye looks to inspire love, power, happiness and confidence. Part of me wants to see if I'd have the best day of my whole entire life if I put a bit of every shade on one day and let all of the moods take over! If you go visit a Charlotte Tilbury counter, you'll see that it's laid out in such a way that makes life much easier, well, makeup application life anyway! They have looks gathered together in one place, matching lip pencils with lipsticks and glosses and that concept has been brought into the Stars In Your Eyes Palette with the four different sections. But don't worry, you can go wild and mix and match the shades across the palette. Charlotte won't mind darling! The palette has a mix of mattes and shimmers that work together beautifully, and if you're a fan of warm shades, then you're going to want to keep reading. Let's look at the shades up close and personal shall we? The Love Eyes section is described as having "three rose-quartz inspired shades, with sweet, soft pink hues to reflect the stone of unconditional love". In the pan, the shades definitely look pink toned, but on me, they lean more peachy. And that suits me just grand. I'd wear this trio every day easily. The colour payoff is fabulous, with the mattes being silky soft, pigmented and blendable. And with all of the shimmers, this applied best with my finger or with a wet brush. 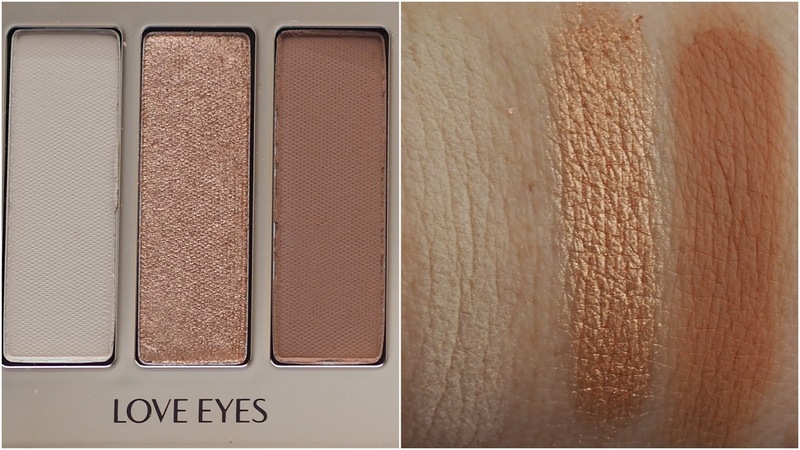 Of the four looks, the shades in Power Eyes disappointed me the most. The shade on the left and the centre shade needed a good few swipes to get a decent colour payoff, but definitely work better with a wet brush. 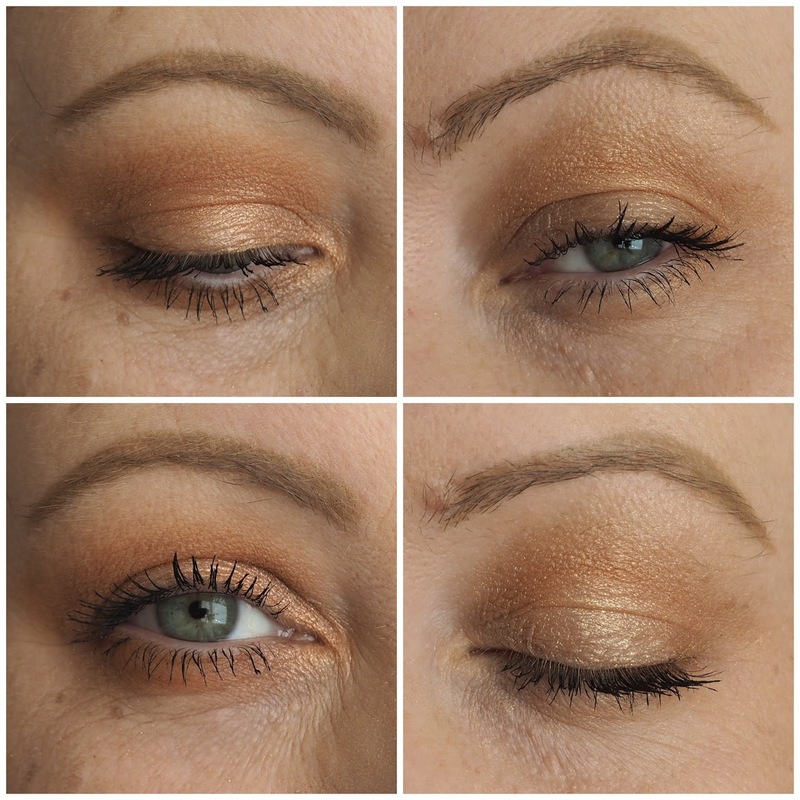 The shade on the right is pure bronze-y perfection and I can see that being used up fast. Word on the street is I can be a star in the boardroom if I wear these, so maybe I need to lash them on and take Lovely Girlie Bits to the next level! Where do I even begin with Happy Eyes... If Charlotte brought out a trio with these shades, I'd buy backups because they are just beautiful! 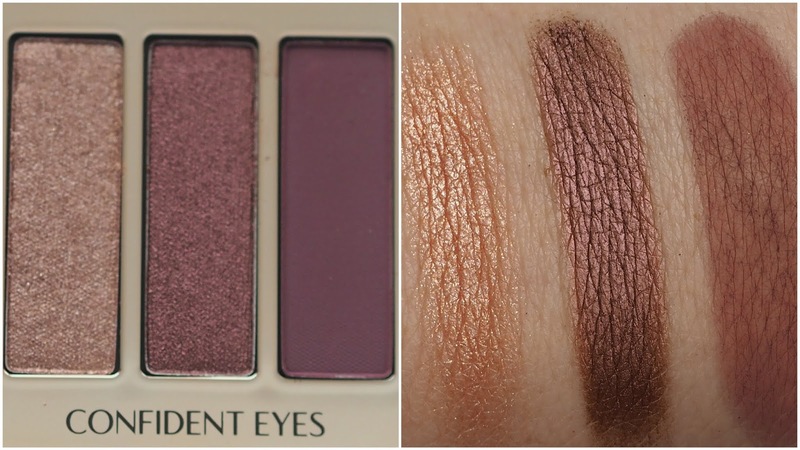 The shimmery shade just pops and the two mattes are a warm shadow lover's dream. 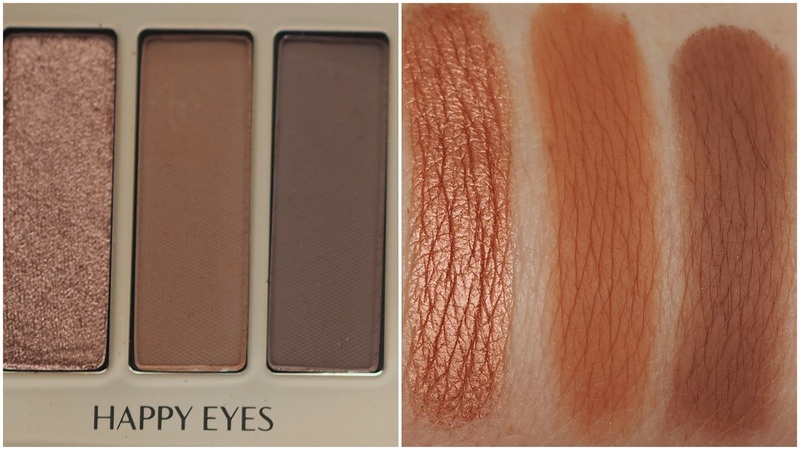 This trio is me in eyeshadow form! I found the mattes incredibly easy to blend and I was able to build them up too when needed. I've been lacking in confidence recently, and so if the Confident Eyes section of the palette helps empower me the way Charlotte wants, then I will wear it every day I tell ya! With this trio, the shimmers definitely worked better wet than dry and I found that the matte applied opaquely, but blended away the more I buffed it over my lids. So I learned with it that the best way was to place the colour, buff it out and then place a second layer with minimal blending. It's not ideal, but the shade is a beautiful burgundy that's perfect for this time of the year. For the looks below, I used each trio on one eye, but like with all palettes, you can use as many or as few shades as you like, so feel free to mix and match because that's what Charlotte would want you to do. You know I'm right. She'd say "Oh Darling, lash on all the shades like a good thing". Ok she totally wouldn't have said that but I confused you mixing her accent with my words didn't I! In the photos above, on the left we have the Love Eyes, on the right is the Power Eyes. This half of the palette is more for daytime wear and brings light to my eyes. I'd have preferred if the Power Eyes trio had a matte shade for my crease because shimmers don't really suit me in the socket, but I have plenty of mattes to play with in the rest of the palette. In the photos above, Happy Eyes is on the left and Power Eyes on the right. I love this half of the palette so much and as we all know, I'm a fan of a smokey eye or two, especially as the nights get longer. 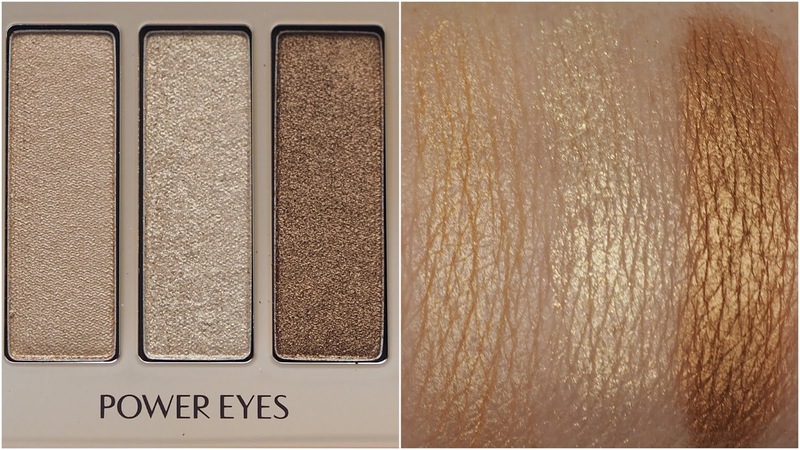 And that's the Stars In Your Eyes Palette! It's now my grown up palette for fancy nights out, but I really should start using my good makeup for every day wear shouldn't I? On Friday they told us it was going to be on sale on the Brown Thomas website for 24 hours on Thursday 27th of September and I think the Irish price is €75, but my advice is to order from the UK website. It's cheaper at £60 and you can pick your own samples too. That's where I bought last year's palette and shipping was quick enough. Will you be picking it up? I'm thinking it would be a gorgeous Christmas present! Either for yourself or for a lucky loved one!